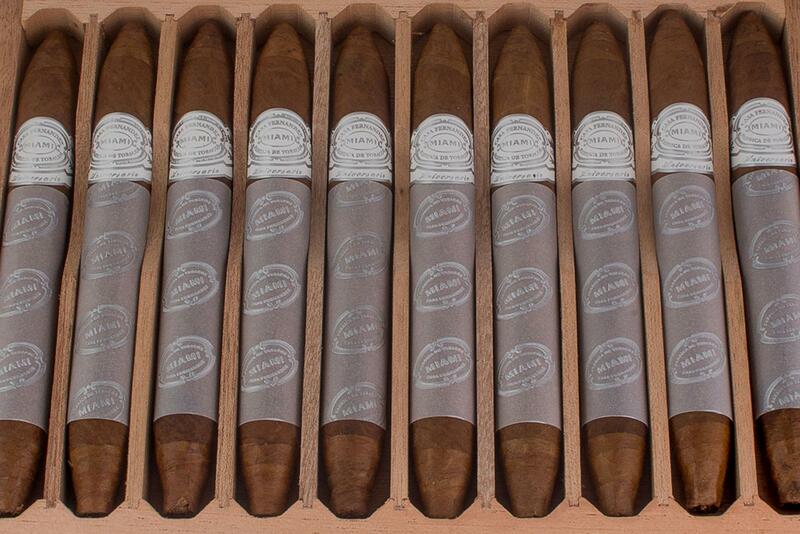 For the first time ever, the Casa Fernandez Miami Aniversario line is getting a perfecto shape. 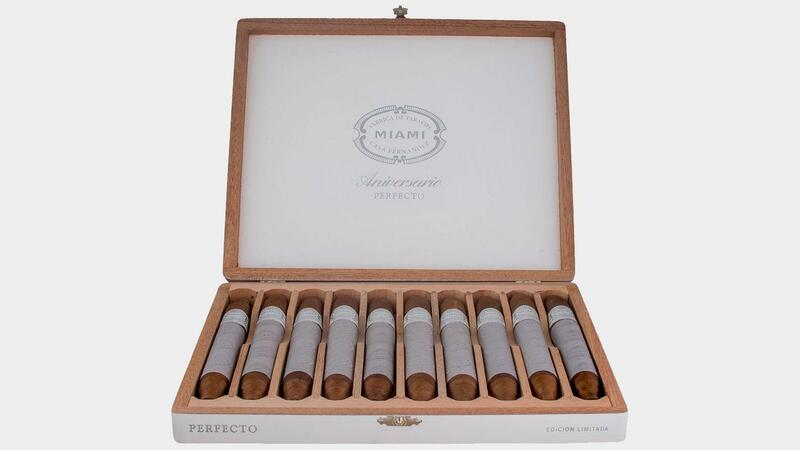 And if you’re a retailer who wants to sell the limited-edition cigar, you’ll have to attend this year’s IPCPR, as the new perfecto is a trade-show exclusive. The Casa Fernandez Miami Aniversario Perfecto measures 6 1/4 inches by 52 ring gauge, tapering on both the head and the foot. The all-Nicaraguan blend includes binder and filler tobaccos from Jalapa and Estelí, covered by an oily, Corojo ’99 wrapper with a Colorado hue. An early sample, smoked two weeks ago, exhibited a sweet and spicy character. The Perfecto measures 6 1/4 inches by 52 ring gauge. According to Terence Reilly, vice president of sales and marketing for Aganorsa Leaf, only one roller in the company’s Miami factory is producing the cigar. Hence only 250 boxes holding 10 cigars will be released. The Aniversario Perfecto carries a suggested retail price of $13.50. The new size marks the first addition to the Casa Fernandez Aniversario line since 2015, when the company added a toro and box-pressed lancero. The Aniversario line originally debuted in 2013 to celebrate the 35th anniversary of Tropical Tobacco, which is now known as Aganorsa Leaf.